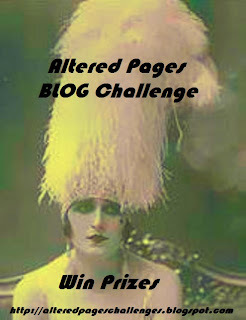 We are the Challenge Blog for the Altered Pages Blog--sister to www.Alteredpages.com since 2003. Make sure to VISIT our fabulous site. The winner will receive an assortment of Glitz items. 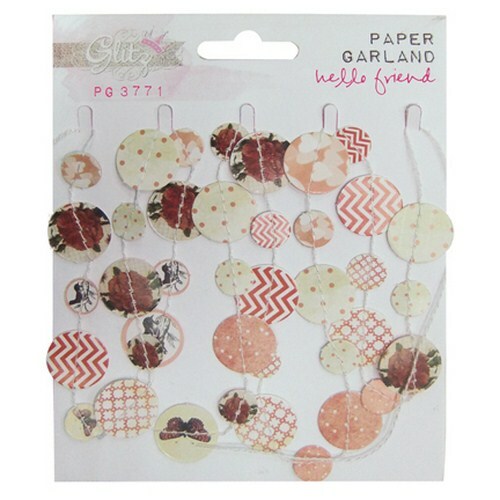 Included will be the darling Garland embellishment, along with a roll of washi tape and a 6X6 paper pad. 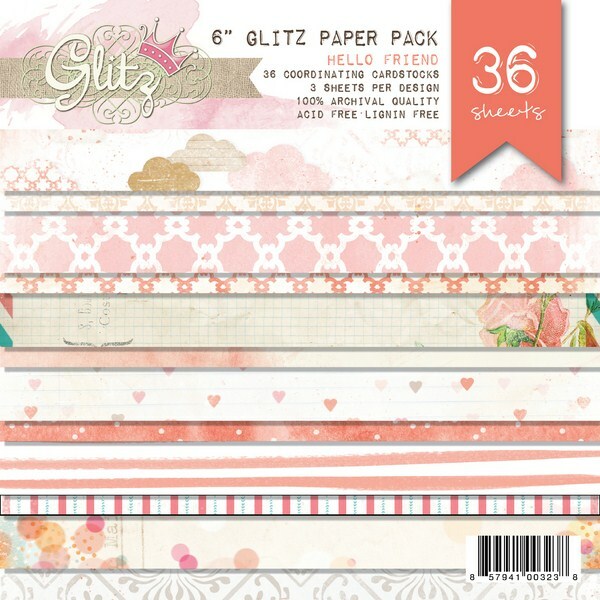 A great package for you to create more lovely projects! Share the Challenge with all your friends and followers! Place the challenge button on your BLOG. See it below....or see one on the home page. What a fantastic prize package to win this month! Hi Everyone and Welcome to the Altered Pages Challenge Blog. This is where Jean and the Design Team at Altered Pages challenge you to Alter Your Creativity and have some fun every Month. See the RULES below, use at least ONE AlteredPages.com item in your project to be eligible to win Prize Packages! (digital collage, ink pad, stencil, etc). We do hope you'll join us! A new challenge will commence here every second Monday of the Month and run until the end of that Month. Inspiration will be provided for you by the Design Team and we ask that you vote for your favorite creation from the Design Team and then play along too! 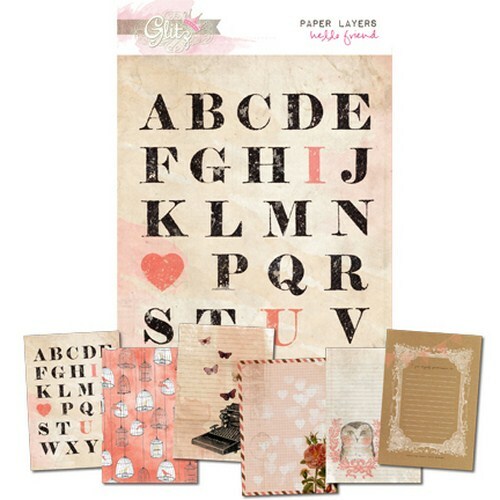 At the end of each challenge the Altered Pages Design Team will pick a winner and choose a Top 3 from all the entries. 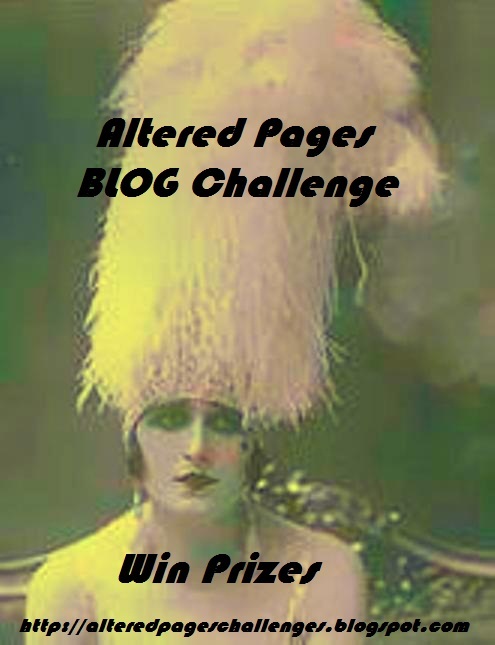 The winners and Top 3 will be announced on this page and also the Altered Pages Blog and must email Jean at artsociates@gmail.com within 3 days to claim their prize. Please list the Challenge No. and the word Winner in the subject line and your full name and address details in the body of the email. 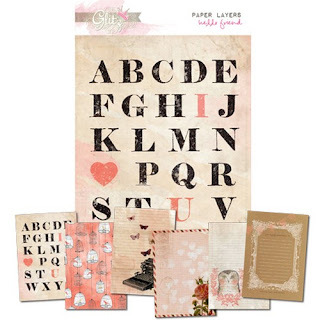 Each Monthly Challenge Winner (in USA) will receive a Prize pack of Altered Pages Goodies, whilst the Top 3 will each receive free, their choice of a Altered Pages Collage Sheet. Join us again each month for a new challenge and help us spread the word by telling your friends about Altered Pages Challenges. The more the merrier! The RULES of our challenge are Easy! 2. Simply create your project following the challenge theme. Your project must be new - no back linking allowed! 3. Link Up your Entry using the InLinkz Tool remembering to link directly to your blog post or photo of your entry. 4. Most importantly have fun. Don't Miss a Single Challenge! !